Review: First of all l would like to say a big thank you to Bron Whitley for sending me her book and giving me a chance to read it. I was sent this book in exchange for a honest review. I am glad this book is in my iPhone library l would tell people that you should step outside your comfort zone with books because it is good to add more authors and genres to your reading portfolio even if you do not read books like this. I normally do not read books of this genre but l stepped out my comfort zone with authors and genres I am so glad l did because l have read so many great books including another of Bron's Books called Layla down under. 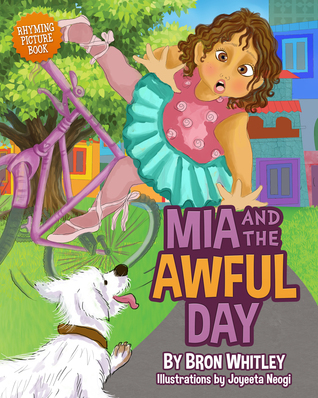 I highly recommend this book the author is nice and l really enjoyed reading about Mia and her awful day l really enjoyed reading this book and looking at the pictures and l got a eBook but it is available in paperback as well the pictures in this book are really nice and beautifully colored.